This is a beautifully produced and orchestrated folk singer-songwriter album. Now, Cusp is a bit of a surprise. Years ago, I purchased Alela Diane’s first record, The Pirate’s Gospel, and with its intricate guitar work and vocals, it recalled the wonderful Gillian Welch. But this is quite different. Apparently, a broken nail while snow shoveling in a deep forest cabin existence curtailed the fingerpicking, and presented a chance to write on the piano. Perhaps, The Muses do work in mysterious ways. But there are other changes. Where that first record was deep-rooted Americana, this one is big, spacious, and cinematic in its execution. The piano led tunes are graced with violins, horns, percussion, and the occasional electric guitar. Actually, it becomes an artistic statement of new intent. Reference points might be (the great) Phil Ochs’s Pleasures of the Harbor, David Ackles’ all time unclassifiable classic American Gothic, and the solo records of Sandy Denny (more about whom later). These artists moved from acoustic music to much more sophisticated arrangements. That’s good company to keep. America is about dreams, as is Hollywood. So, the cinematic quality of this album, indeed, taps into those great hopes. This isn’t folk music like Lucinda Williams, Julien Baker, Joan Shelley, or Bon Iver (who also spent some time in a wilderness cabin). I really like those records, but this album evokes different types of ghosts. 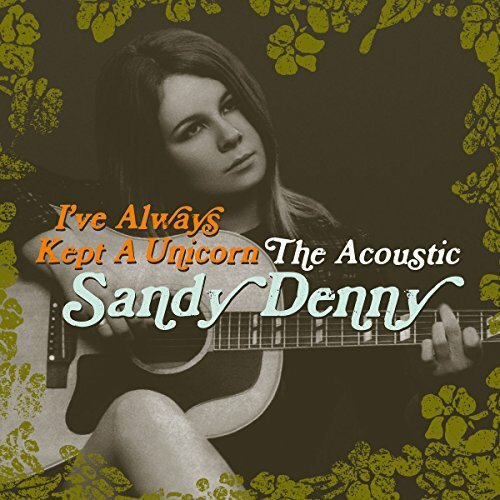 One tune, “Sandy’s Song,” concerns “a lady who came from London town,” which is fitting because the specter of the late Fairport singer Sandy Denny certainly hovers over this music. I’m reminded of well-produced solo albums like Sandy, Like an Old Fashioned Waltz, and Rendezvous, which were a far cry from her earlier folk rock days. And this song in Sandy’s memory haunts the entire record. “Albatross” starts with a somber piano, an introspective verse, a subtle violin, and then it morphs into a wonderful chorus (with a languid horn) which mourns “what I left behind.” The theme of the album is motherhood. Apparently, that’s a forbidden zone with songwriting. Well, the song defies gender. It is much more universal in its emotion, an emotion that is felt by any human who leaves love ones behind. And it’s fair to say the lyrical content, like the music itself has expanded, ironically inward, to touch deep universal ideas. Time is a gift we all contemplate. “Moves Us Blind” has an absolutely lovely chorus with lyrics about “quiet months I’ve spent alone…until you came along.” Yes, this is autobiographical stuff about time spent in a cabin with her young child, but simplicity can often lead to a wider wisdom. And this album is about that insight. Again, that’s good company to keep. “Wild Ceaseless Song” ironically ends the album. It contemplates her father, her final hours, “dreaming her child’s face,” and quite frankly, most of the universe. This is naked emotional music, but it never implodes into self-pity. The author Zola Neale Hurston wrote Their Eyes Were Watching God, which details the plight of an African American woman. But that novel speaks to everyone in a beautiful universal language. This album sings with the very same universal words. They are folk words, adorned with beautiful production, lovely violins, and soft piano magic, all of which are wrapped in great songs, that, like the loneliness of an introspective life in a distant cabin, can speak to the deep humanity which resides inside us all. And by the way, this is a gorgeous album.